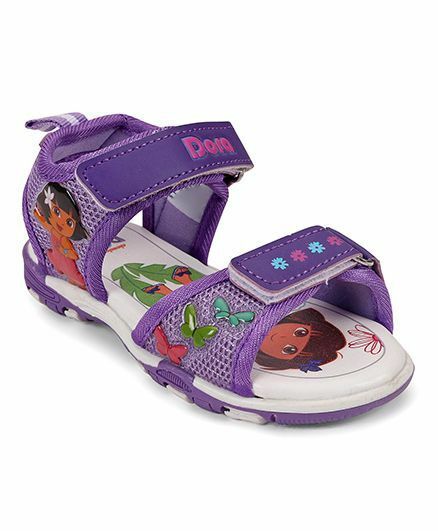 Dora presents sandals for cute little girls. The sandals are specifically made using the soft EVA sole and super soft Insole. Soft foot bed ensures high level of comfort and Dora design with double Velcro closure makes it comfortable to wear. The Dora print and Butterfly motifs makes this sandal look very cute and attractive.